Truth be told, it’s going to be hard to top the many highs of ASAE15. 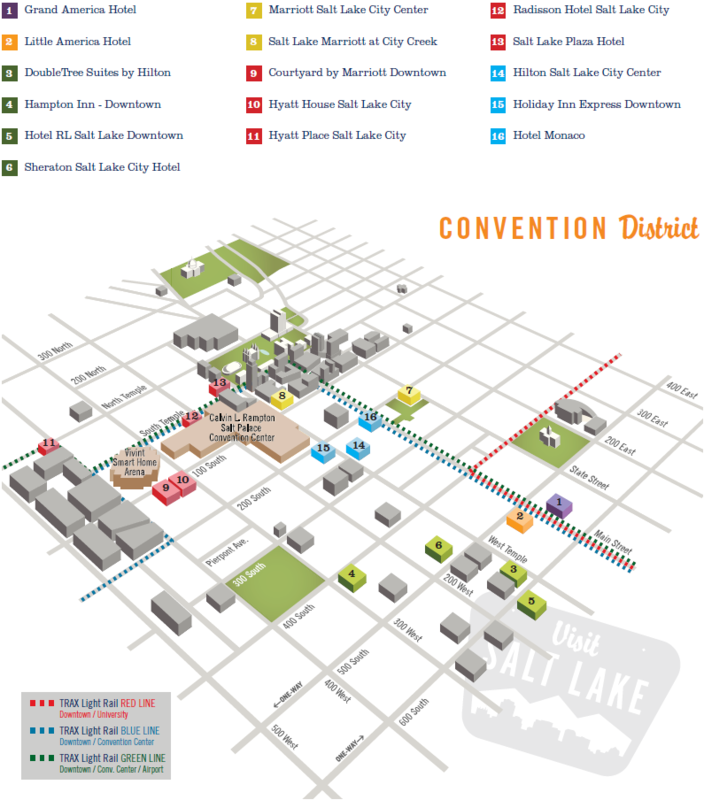 But, as ever, we DelCorians are excited to assemble with our association colleagues for the ASAE Annual Meeting & Expo in Salt Lake City! Here’s a preview of what’s in store—and some of my own personal tips for enjoying the best SLC has to offer. No, I’m not talking about the kind of disruption we witnessed at the recent political conventions. Rather, I’m talking about disruptive technology. Or, I should say, David DeLorenzo will be. Technology continues to alter how we engage with what we are learning, how we collaborate and interact, and how we manage the overwhelming amount of information available to us. The emergence of new and disruptive technologies, and expectations of a personalized user experience, puts pressure on the association community. This interactive session will present problems, provide current and emerging solutions, discuss case studies, and explore what-if scenarios. There’s more than one hive in Salt Lake City. 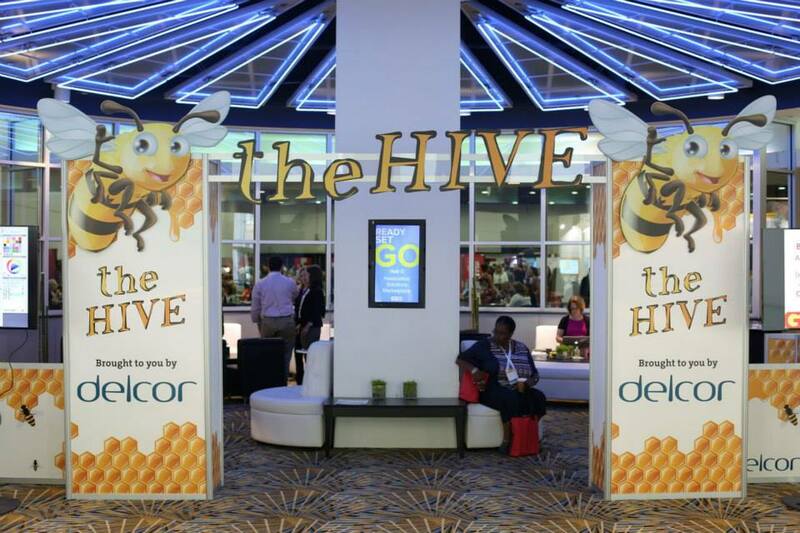 Be sure to visit ASAE’s newbie (and veteran) lounge—The Hive—in Salt Palace’s North Foyer. We’re pleased to sponsor this engagement and relaxation zone once again. Get all the details, including lounge hours, how to get your newbie questions answered, and convention center tour schedule on ASAE’s First Time Attendees page. Perhaps your weekend was disrupted when “Netflix and chill” went on the fritz. Or perhaps the SLC weather forecast of mid-90s highs has you feeling steamy already. DelCor is honored to once again unlock access to your very own private space to chill. That’s right, we’ve got unique hotel key cards waiting to welcome you to SLC! Make sure when you check in to your official ASAE hotel (exceptions: Grand and Little America) to receive your DelCor-sponsored key card. Every year, I am excited and privileged to raise a newly designed booth for DelCor at ASAE Annual. Our latest incarnation puts a spotlight on technology, helping you answer questions critical to your organization’s progress. Make sure to put Booth 712 on your itinerary to meet friends old and new, and for your own spotlight (a lightweight, pocket-sized flashlight). You know what they say: Always Standing, Always Eating. Well, sometimes that gets messy. Don't skimp on the tote bag at registration—we’ve included a stain pen in there to help you look and be your best. Taking TRAX for just $2.50 from the airport to my hotel. There’s even a Free Fare Zone downtown (below). Three days of hiking the beautiful scenery in and around Salt Lake. As I soar to mountaintops, I think I’ll truly be grounded—a good lead-in to the big party kicking off ASAE16. Find your own path to marvel in your magnificent surroundings. Local beer. I’m getting thirsty just thinking about the Pub Crawl History Tour, which supports ASAE’s Community Connection beneficiary, the Utah Food Bank. Check out all the ways to support Community Connection!